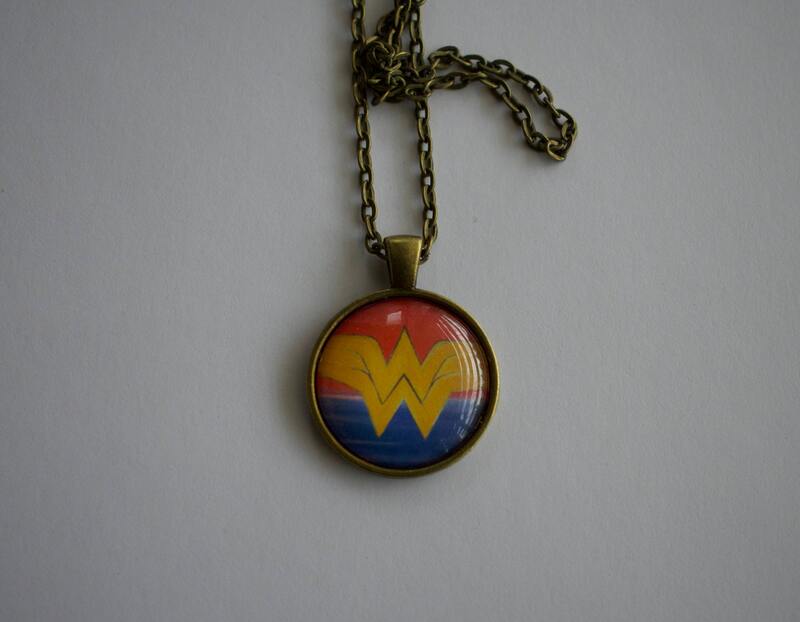 This pendant features my Wonder Woman symbol acrylic painting sized down for adornment! This listing is for one handmade glass bezel setting Pendant and matching link chain with lobster claw clasp. Make sure you select your desired length! 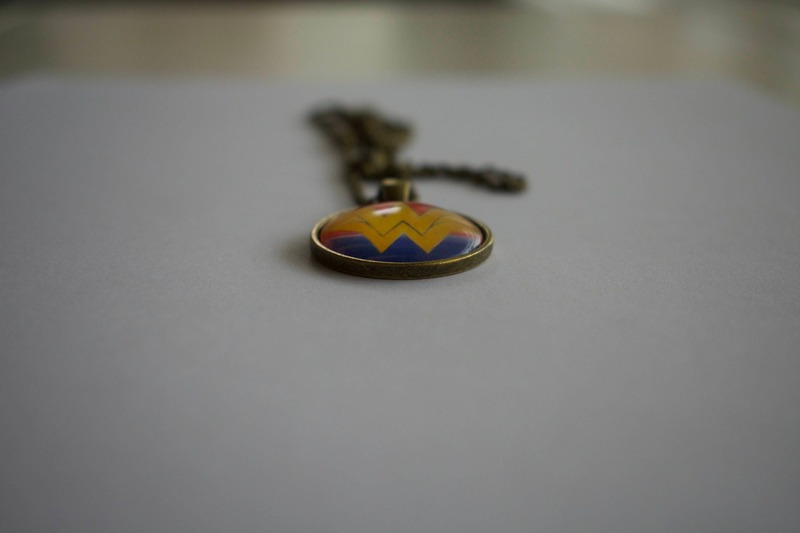 The pendant is 1-inch in diameter, roughly the size of a quarter. 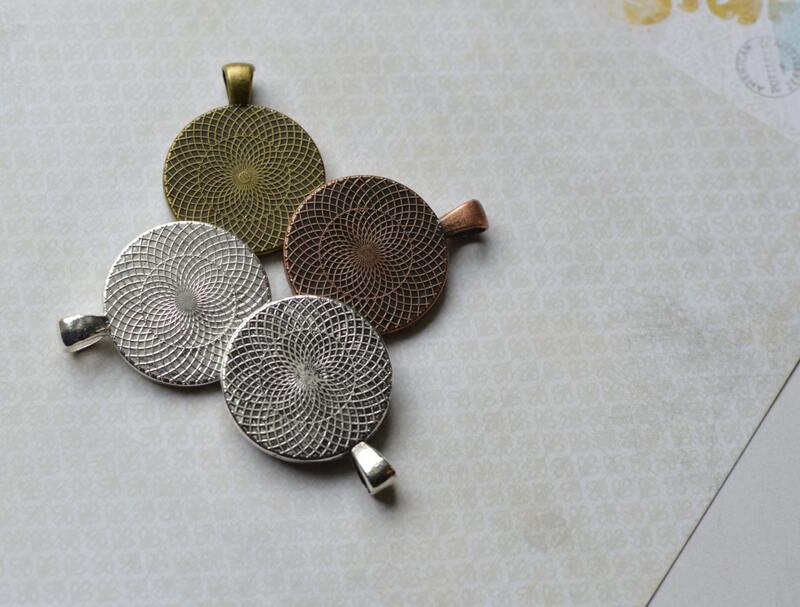 This necklace is handmade by me with attention to detail and a critical eye. The image is printed on high quality laser jet or photo paper and let to dry prior to any additional work. The clear glass cabochon is layered with sealant and pressed to the image to yield a crisp, clear, and enhanced image. I place the glass cabochon on the image in a position that magnifies the best features of the illustration. Once the sealant dries, the cabochon is mounted to the pendant bezel with additional sealant to create a long lasting setting. Each finished piece is looked over carefully for any irregularities such as bubbling under the glass. This necklace makes for fantastic personalized party favors, teacher gifts, bridal party gifts, stocking stuffers, the list goes on and on, and they are perfect for any occasion! Please note that this necklace is not waterproof. To protect your jewelry, please do not submerge it in water and remove before showering, swimming, etc. 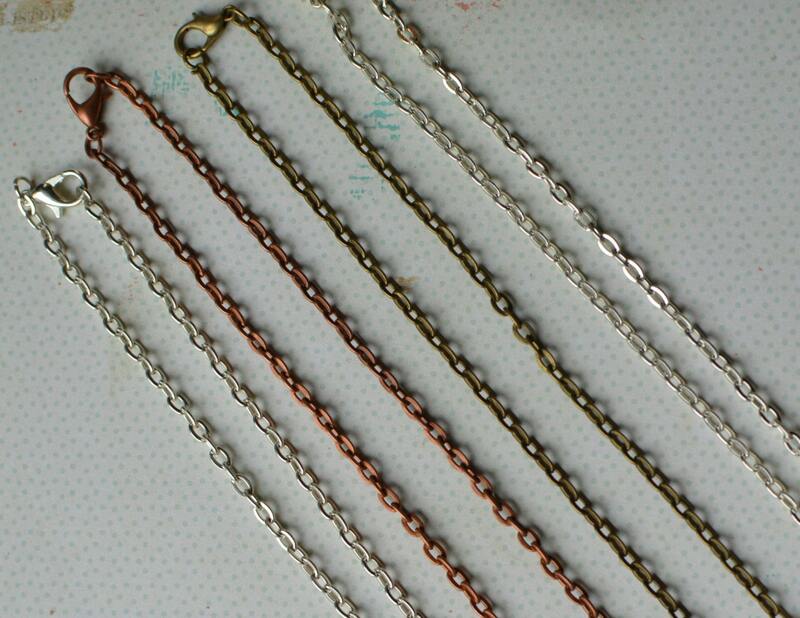 Necklaces present a choking hazard and are not intended for very young children.